By LUDWIG VON KOOPA - There's more to Little Mac than being a For Glory meme. It breaks my heart that Little Mac, a character that I was more hyped for to finally join Super Smash Bros. 4 than even myself, has had a net drop in reputation since he got in. Don't get me wrong: I still love Little Mac (...not romantically, o-of course!). But I get the feeling he's widely disrespected by most other people, especially if they know him from Super Smash Bros. 4. Little Mac was very polarising when Super Smash Bros. For 3DS came out. To most players (who play casually), he's overpowered. To people who know what they're doing, Little Mac was pretty bad. This became more apparent in Super Smash Bros. For Wii U when folks could play with real controllers. There's also the fact that he got nerfed early on: His forward-tilt range got reduced, as did how far Jolt Haymaker went in the air, which stunted his recovery. Now, he's recognised as a terrible character by the majority of people. Casuals believe all Little Mac does is Jolt Haymaker off the ledge, and competitive experts put Mac as one of the worst characters in the game. 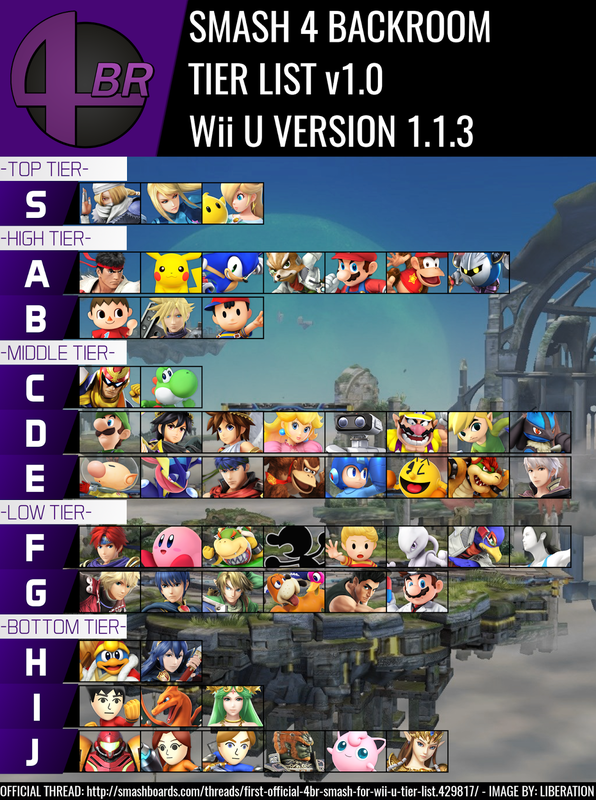 The first tier list, pre-Bayonetta & Corrin. 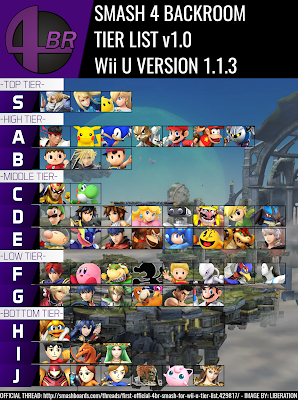 Little Mac is very low, though the absolutely lowest non-Jigglypuff characters got buffed in 1.1.5. It's a shame. It shouldn't be this way. A lot of people consider Cloud to be Little Mac done right — with Little Mac fallen to the wayside. I'd argue... we shouldn't treat Little Mac this way. Here's why. Little Mac is the ultimate underdog. He's not like the other Nintendo characters — The Punch-Out!! franchise started very differently with unique roots that naturally means Little Mac wasn't traditionally seen among the big Nintendo pantheon. His games are excellent, but not many people have played all of them. To try to get people into the Punch-Out!! series, KoopaTV produced Trayvon Tyson's Punch-Out! !, which is like the Nintendo Entertainment System Mike Tyson's Punch-Out!! game except it's for your browser, it's free, and it has a story. But I loved Little Mac far before we produced Trayvon Tyson's Punch-Out!!. I actually really wanted him in Super Smash Bros. 4 to begin with, and wanted him in Super Smash Bros. Brawl. Remember he was just a little Assist Trophy back then? Now he's grown up to have a (relatively rare) amiibo! 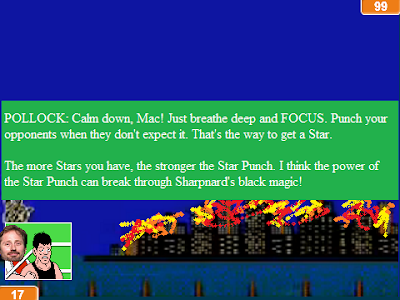 Little Mac was one of the protagonists in my unfinished fan-fiction, Events of Star World 2. The whole Punch-Out!! series was one of the few new Nintendo franchise crossovers that were not in the first Events of Star World, along with characters from Fire Emblem: Path of Radiance/Fire Emblem: Radiant Dawn. They actually play a large role, although you wouldn't know it since the fan-fiction was never written up to the point where you'd see that. Little Mac is very loyal to Doc Louis and will protect the guy. He's a very hard-working fighter. He's one of the hardest working fighters of this generation. Little Mac in Super Smash Bros. For Wii U plays pretty close to how he would in Punch-Out!! Wii or Punch-Out!!. The correct way to use Little Mac is to play patiently, bait your opponent, and then counter. Stick-and-move strategy. Unfortunately, a lot of people use Little Mac to try to rush down the opponent. No, you don't do that with Little Mac. He's not Captain Falcon. Again, patience pays off. 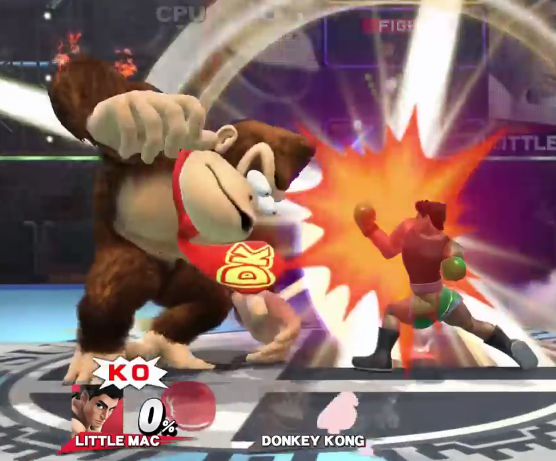 As a tip for Super Smash Bros. For Wii U points out, Little Mac is a boxer. He only fights with his hands, not his legs or anything. Good point for accuracy. Adam Pollock explaining to Little Mac how the Star Punch works in preparation for Trayvon Tyson's Punch-Out!! 's final battle. Here's a point of inaccuracy, though: His B move is the KO Punch, not the Star Punch. The KO Punch was from Super Punch-Out! !, and the protagonist for Super Punch-Out, despite whatever Electronic Arts thinks, ain't Little Mac. Little Mac does the Star Punch. If you played Punch-Out!! on the NES, Trayvon Tyson's Punch-Out!! on the PC, or Punch-Out!! on the Wii, you'd know how the Star Punch works. Hit your opponent at a certain time (like when they're taunting you) and you'll get a Star. If you have at least one Star (you can have up to three), you can STAR PUNCH. The more Stars, the more powerful the Star Punch! Little Mac uses the KO Punch on Donkey Kong! Why couldn't we have the Star Punch system in Super Smash Bros. 4? I don't really know how it'd work... Would Little Mac get a Star every time he gets a certain combo string off the opponent? Maybe Mac would have moves that would make the opponent go into a vulnerable state, like Ryu's Focus Attack. Then he would get a Star, and his B would Star Punch. There's all sorts of interesting ways that would stick to Little Mac's game material without going to Super Punch-Out!!. Besides, in Super Punch-Out! !, if you get hit, it decreases your KO meter. In Super Smash Bros. 4, it still makes your KO meter go up. That's not exactly faithful, though if that wasn't the case, it'd be really hard to fill up the KO meter unless it filled up a lot quicker than it does currently. 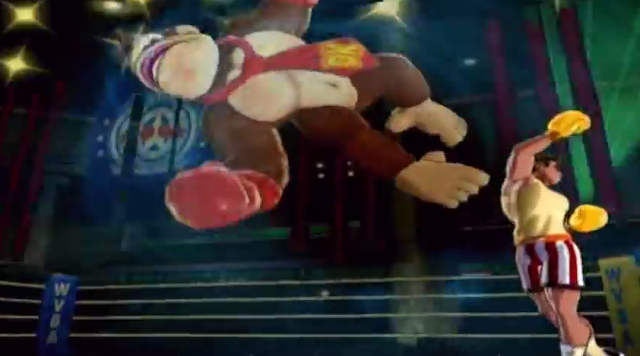 Little Mac uses the Star Punch on Donkey Kong! I highly encourage everyone to know Little Mac's story from the Punch-Out!! games, and to get your impression of him from those. He may be little, but there is a lot more to Little Mac than people being garbage playing as him in For Glory mode. There's a Little Mac in every one of us. Ludwig plays as Little Mac the fourth most in Super Smash Bros. For Wii U, but the Boxing Ring is his most-played stage. Ludwig's favourite Punch-Out!! games go something like: Punch-Out!! Wii, then Punch-Out!! on the NES, then Trayvon Tyson's Punch-Out! !, then Super Punch-Out!!. He never played the ones on the arcade, but he does own Doc Louis's Punch-Out!!. Doc Louis's Punch-Out!! was the best reward back when Club Nintendo existed. While people use Super Smash Bros. to portray Little Mac as a joke, people also use that series as an excuse to hate Meta Knight. Oh look it's MKDH commenting here. He was advertisement for me. When Wii games were being offered for download and Punch-Out was one of them, I decided to finally try out that game and I really liked it. I never played a Punch-Out game before that one. Maybe it is because Little Mac looks attractive in Smash 4. Little Mac is attractive to you in Smash 4? Anyway, I'm glad you didn't consider Mac to be a joke — and actually did buy his game! And liked it! They are attractive in different ways. Also I learned how there is a pretty large female fanbase for the Punch-Out series. Must be all those shirtless men. So Little Mac is attractive across all his appearances? The female person who told me about the large female fanbase for the Punch-Out!! series is trying to turn into a male, so I still don't know if this large female fanbase is actually a thing. I don't find his Brawl look attractive. If not a large female fanbase, then at least a noticeable one. ...Yeah, his Brawl look is probably his worst one. Not counting his appearance in Captain Rainbow. If you look at the notes you will be led to others who follow this blog, most likely female. ...yeah I figured you'd say Tumblr. You would think they would hate the series for the stereotypes. Somehow that is not actually the case. I like to think it's because Punch-Out!! handles the whole stereotype thing in a better way than some alternatives. But I also don't think Tumblr is the type of place that appreciates nuances in this area, so I don't know. MAYBE they don't see it as stereotypes (bad thing) but DIVERSITY (good thing). I followed this artist after getting hooked on the Wii game. YOU ARE ALSO NOT ALLOWED TO REFERENCE OR COPY MY ART/ ART STYLE IN ANYWAY"
The hell is her problem? Fanartists are very touchy about art theft. Many hate it when you use as avatars and the like without their permission. To tell you the truth one of my stuff was used in an youtube AMV video and I got a little shocked about it. I mean, I'd be touchy too if people plagiarised KoopaTV or used one of our original photo pieces without permission. I got really mad when someone mirrored Ain't No Koopa High Enough and some of my other videos without asking. But you can't "reference" or "copy" the "art style in anyway"? No, honey, you can't copyright an art style. Were you just shocked, or were you also outraged? Shocked and then scared. That person is also one of my followers on Deviantart. It was one of my more mediocre submissions in art style though people did like the punchline in that. Why would you be scared? Or rather, what were you scared about? I was fearful about confronting about the art theft. And displaying my mediocre art to an even more wider audience then my humble home on deviantart which barely gets any views. I would have preferred my pictures of my plush art to be displayed without credit instead as that would most likely get people curious about where they came from compared to traditional art. So you were scared about the confrontation? The whole, "You took my art without crediting me and it's upsetting. Please remove it." conversation? If they used your art for their video, maybe they don't think it's mediocre.